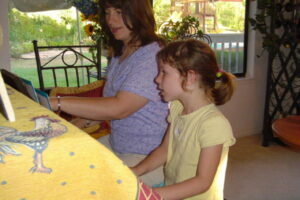 I love working with children, and with adult students at different ages and levels. All students learn best in a calm and friendly environment. I find that students can achieve amazing results when they are motivated, practice diligently, and believe in themselves. My students learn how to read music well, and then they learn to play a variety of different musical styles. That also helps them excel in their school bands playing different instruments. 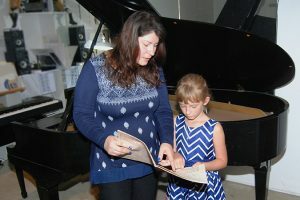 We work on forming proper habits and piano technique and have a good understanding of music theory. 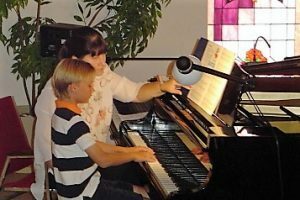 I teach Music Theory, Sight Reading, Piano Performance, Piano Technique, All Music Fundamentals, A Variety of Musical Styles such as: Classical, Blues, Pop, Jazz, Gospel, Hymns, Worship, etc. We have Piano Recitals twice a year: our Christmas Piano Recital at the beginning of December and our Spring Recital that takes place in May or at the beginning of June. Our piano recitals are not competitive. my opinion, competitions are not appropriate for younger children, and even older students should not be forced to compete unless they choose to do so. Instead, I prefer my students to learn to perform and gain confidence in a friendly environment, in front of an encouraging and appreciating audience. After each recital, they get inspired by each other's progress. After each recital, we have refreshments and get a chance to meet old friends or to make new ones.